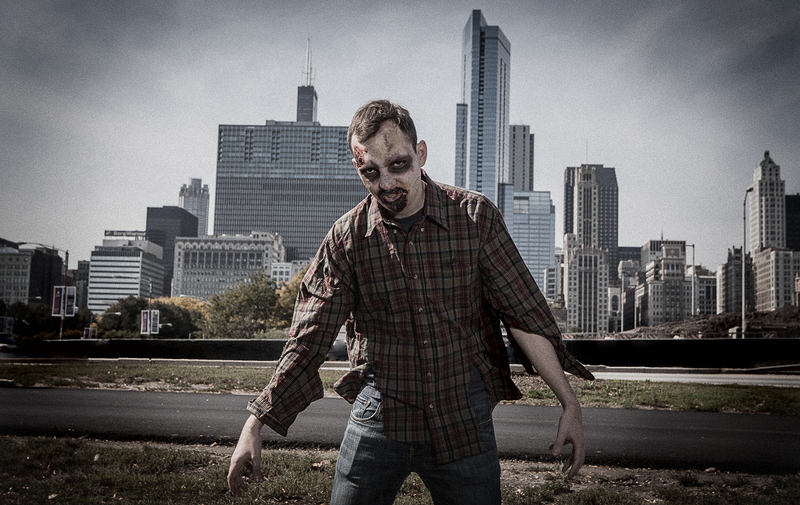 Take a trip through Chicago's weird news stories of 2014, from a zombie attack at Lollapalooza to a gas leak at a furry convention. 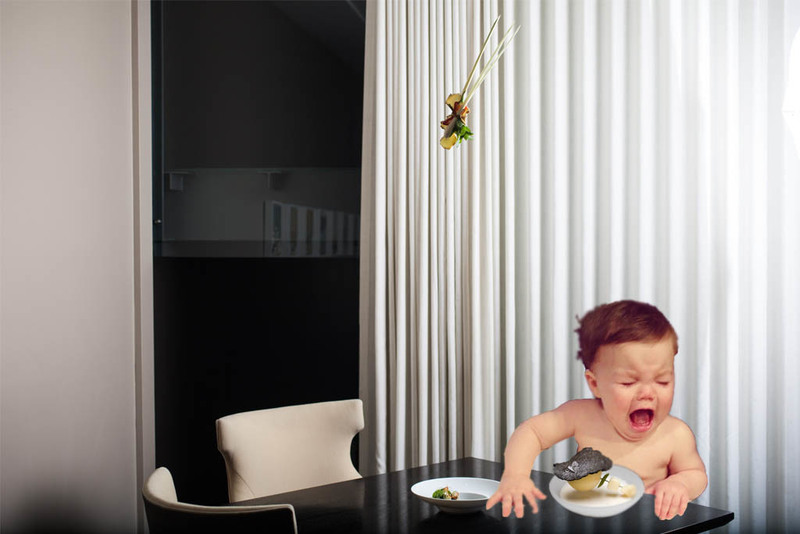 A crying baby caused a stir in Alinea. It was difficult to look at the news in 2014 without seeing some deeply depressing headlines. 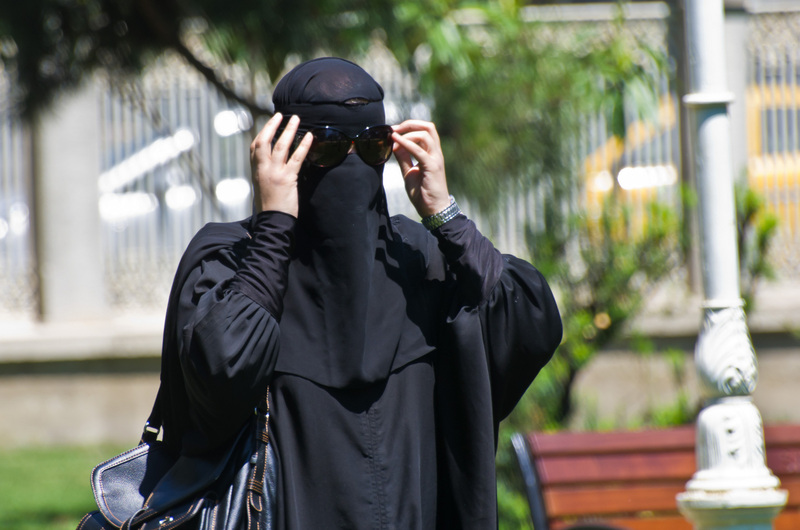 Thankfully, there was a steady stream of weird news beneath the mountains of heartbreaking reports that helped us get through the year without resorting to drinking multiple cocktails each night. 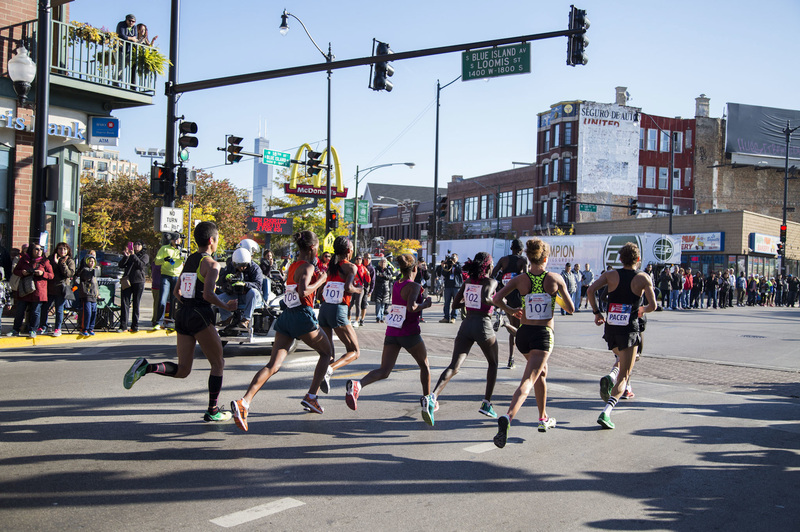 From a runaway criminal joining the Chicago Marathon to an infant making a scene at one of the world's best restaurants, these are the weird news stories that were crazy enough to make us chuckle. January 12 - When you have a baby, it can be hard to get out of the house for a relaxing evening with your significant other—almost as difficult as scoring tickets to Alinea. When a couple’s babysitter canceled on them at the last minute, they simply brought their eight-month-old baby along with them to the three Michelin-starred restaurant, where the child’s cries caused a stir with other diners. In a tweet about the incident, chef Grant Achatz pondered banning kids from Alinea altogether, but he eventually decided that well-behaved babies will still be allowed in his restaurant. Still, if you can afford a pair of tickets to Alinea, you should probably be able to spring for a backup babysitter. February 8 - Dubstep DJs often claim that they’re going to “blow the roof off”, but it’s rare for any structural damage to actually occur. 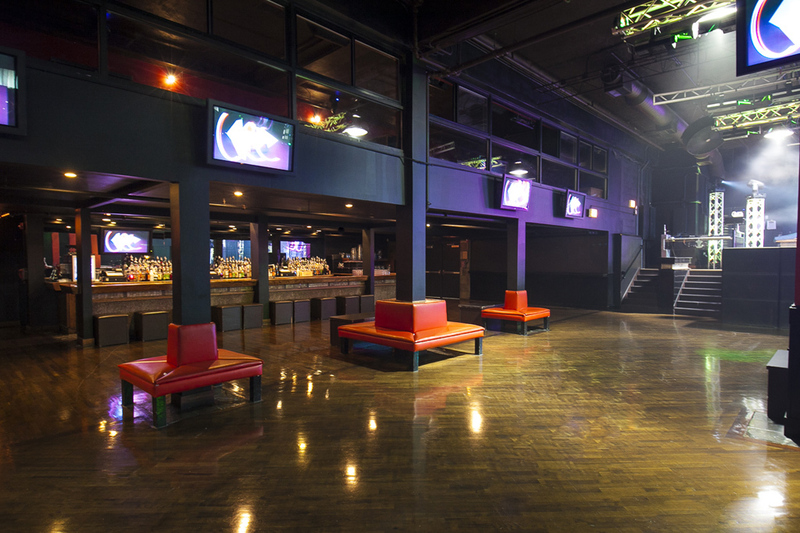 That wasn’t the case at the Concord Music Hall in February, when a large piece of plaster ceiling was dislodged and fell into the crowd during a performance by DJ Datsik (as captured by an Instagram user). 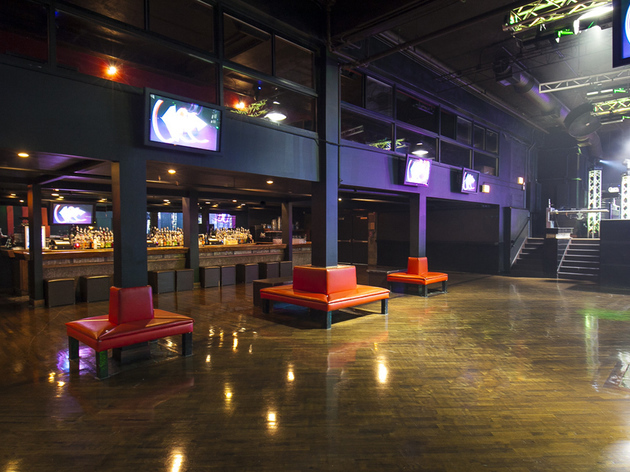 DNAinfo reported that a structural engineer hired by the venue determined that “vibrations from the music contributed to the failure.” Three people in attendance were hospitalized with non-life threatening injuries after the concert was canceled. You see, dubsteps fans—there is a such a thing as too much bass. 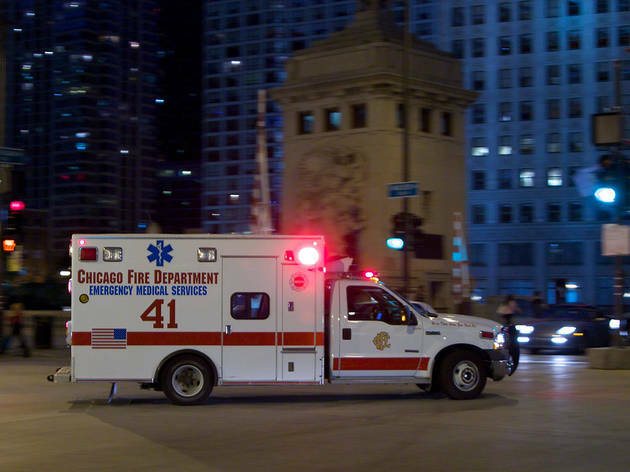 April 6 - In April, a man stepped into a private ambulance parked outside of John H. Stroger, Jr. Hospital in the Medical District and drove away in it. Police found the missing ambulance in a Burger King parking lot in Lyons, with Brian Ollie, 53, in the back. 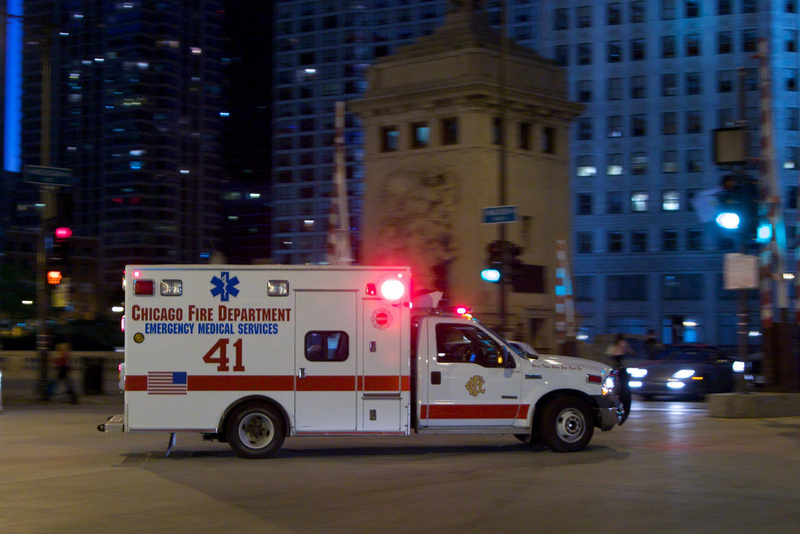 According to MySuburbanLife.com, Ollie told police Lyons police that he was high on PCP and couldn’t recall how he got in the ambulance. When Ollie was placed in a holding cell at the Lyons Police Department, he damaged a fire sprinkler and flooded the cell. Talk about a Whopper of a crime spree. 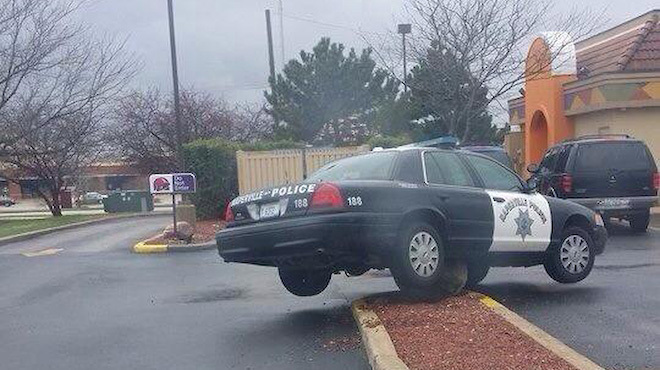 April 14 - A Naperville police officer got a little too excited about the newest Doritos Locos Taco flavor when he attempted to pull out of a Taco Bell parking lot and lodged his car atop a decorative boulder. Sgt. 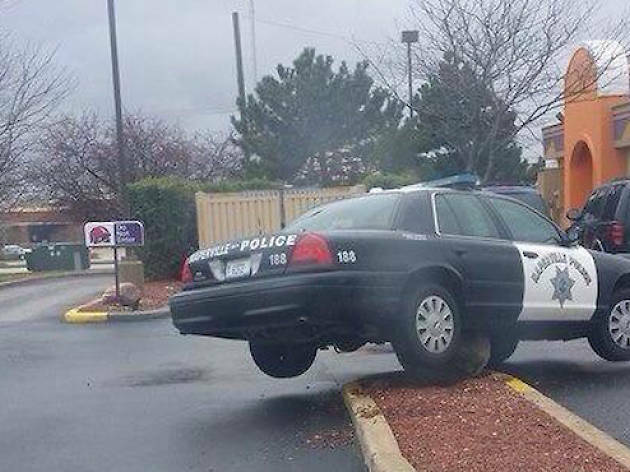 Bill Davis, the department's public information officer, told Fox 32 News that the officer behind the wheel "was attempting to turn around in the lot to check on a vehicle when he over-steered, and drove over the curb and the rock." 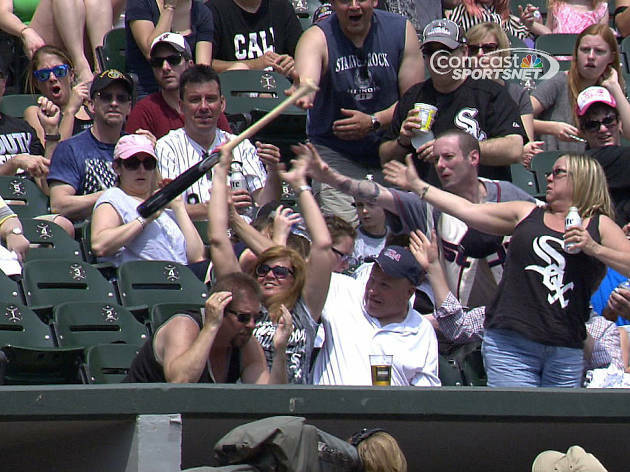 May 26 - When a bat came flying into the stands at U.S. Cellular Field, Eileen Depesa didn't hesitate. 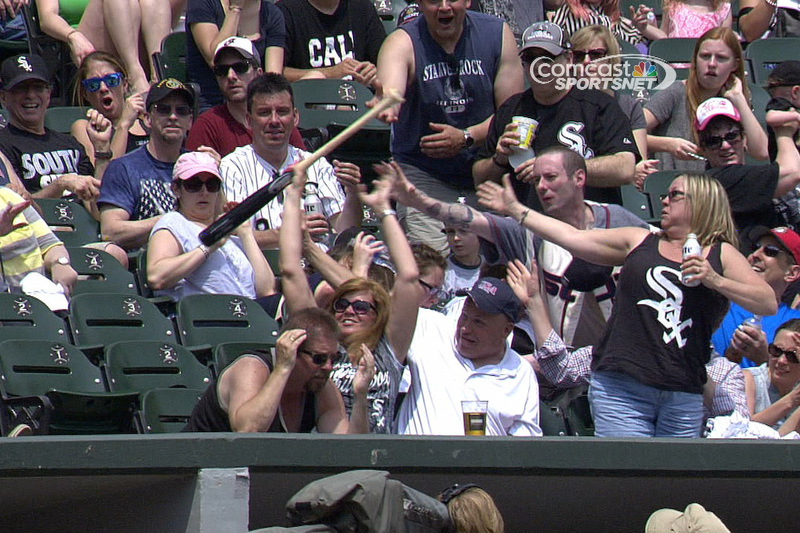 She reached up and grabbed it with one hand. Depsa not only saved the baby sitting behind her from being hit, she immediately became a GIF superstar on blogs like Deadspin. As for the guy sitting next to her? He will forever be known as "the dude who ducked." 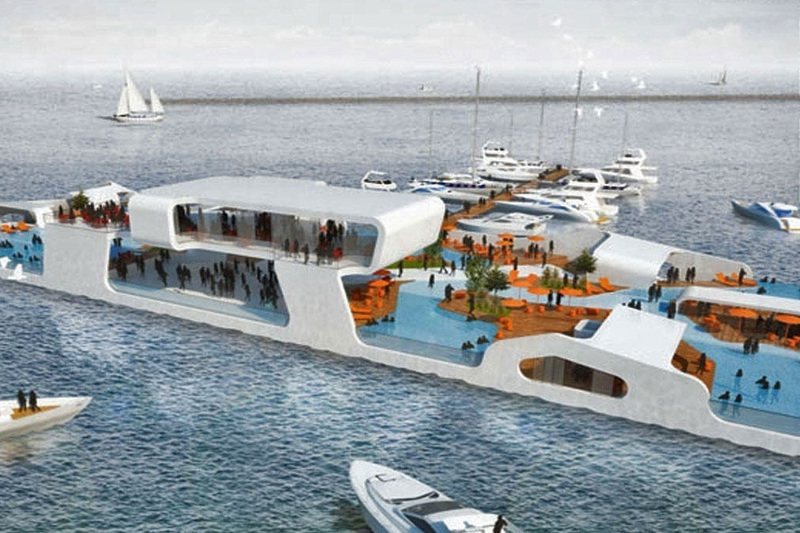 June 10 - Chicago businessman Beau D’Arcy has a dream: He wants to build a floating island on Lake Michigan called Breakwater that is only accessible by boat and will house restaurants, bars, dance clubs and a giant pool. According to DNAinfo, Ald. 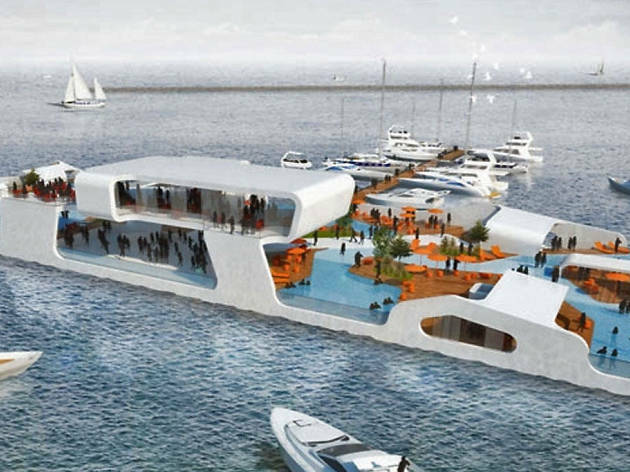 Brendan Reilly isn't thrilled about the proposed party barge and the increased risk of drunk boating won’t win over the Coast Guard. Miraculously, D’Arcy’s Kickstarter for the project was fully funded (to the tune of $60,000) and recent Facebook updates suggest that Breakwater is still moving forward. 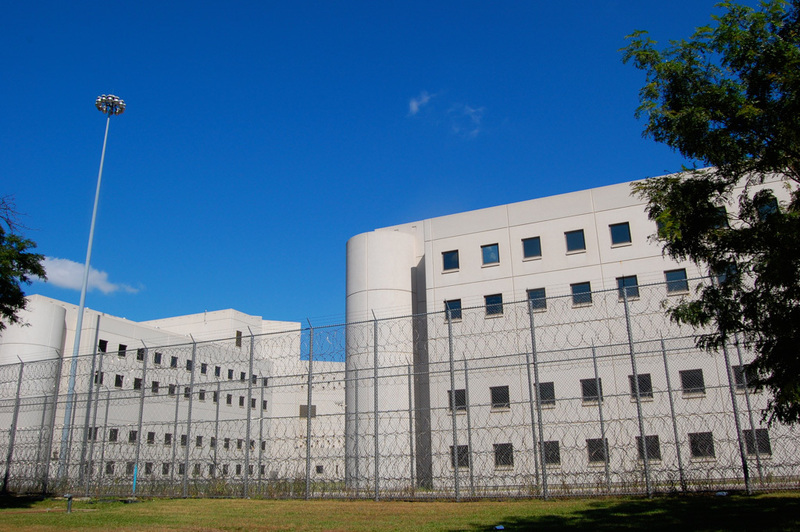 July 5 - When Farad Polk, 51, came to visit his son in prison, he didn’t expect to become trapped in jail himself. 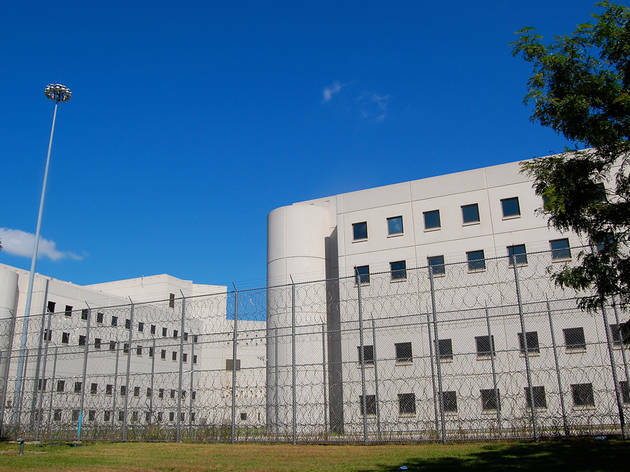 According to the Tribune, Polk took a wrong turn in an unfamiliar hallway and found himself locked in a maximum security visiting room used for the Cook County Jail’s “highest classification” inmates. Polk was stuck in the room for 30 hours and was only rescued after broke off a sprinkler head, which brought the fire department to his aid. Shortly after the incident, Polk filed a lawsuit against the county seeking compensation for the physical, emotional and psychological injuries he suffered. August 1 - If The Walking Dead has taught us anything, it’s that you should always be weary of a zombie attack. 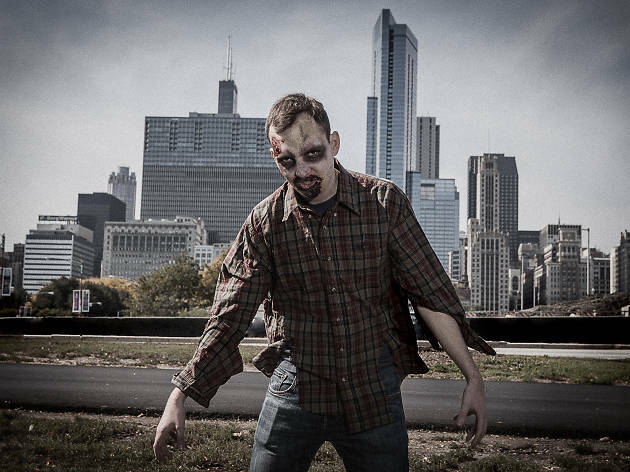 Not even Lollapalooza is safe from the undead outbreaks, as Ben Lenet, 29, learned during the Arctic Monkeys’ headlining set at the festival. An hour into the band’s performance, a man jumped on Lenet and bit a chunk of flesh from his arm, according to the Sun-Times. A friend kicked the man in the face before he ran off into the crowd, leaving Lenet with a nasty wound. The biter was later identified as Sergio Vicenteno, 33, who was arrested and charged with two counts of aggravated battery. 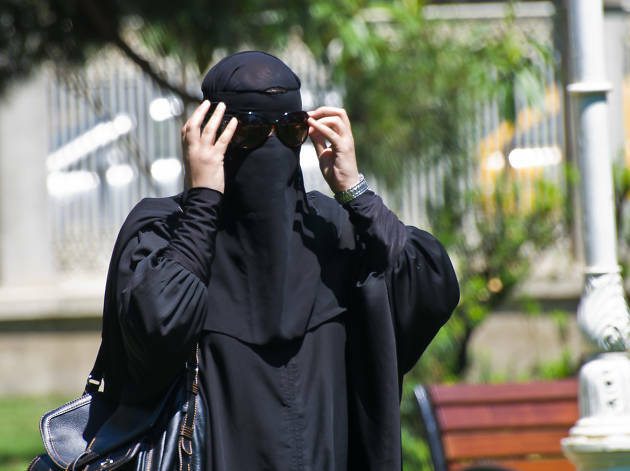 August 14 - ATM technician Gildardo Lopez Jr., 31, thought he could get away with an ATM theft by dressing up as a woman with a black burqa. Unfortunately, the FBI was waiting for him when he exited the vestibule at a Chase bank in LaGrange carrying a suitcase containing $168,174 in cash. The Tribune reported that the FBI was tipped off by a coworker who Lopez asked for an electronic key that would shut off the bank’s alarm system. Police also arrested Lopez’s getaway driver and learned that the pair had planned to escape to the Dominican Republic with the money—it’s hard to think of a more stereotypical heist. October 12 - Running a marathon usually involves months of training and discipline, but sometimes all the motivation you need is a few cops on your tail. 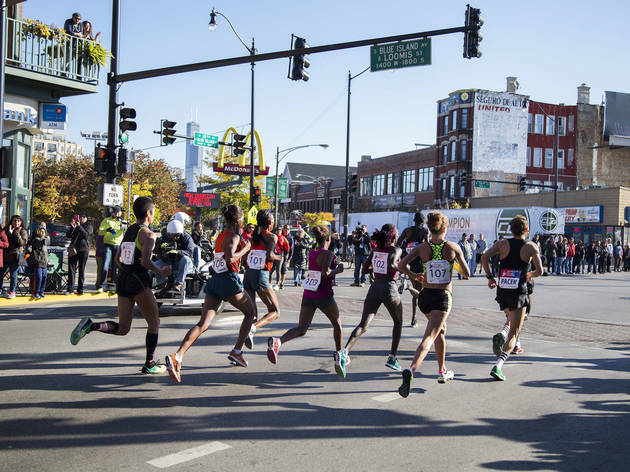 That was the case for Bryan Duffy, 29, a real estate agent who ran onto the Chicago Marathon route when police began chasing him on State Street. DNAinfo reported that the officers wanted to speak with him after he was observed digging through flower beds along the route. Duffy was eventually apprehended on the Marathon route, where he was found holding MDMA and $531 in cash. Apparently, Duffy has never heard of a runner’s high.